Surprisingly, this study was not funded by HBO, Netflix, Hulu or the Illuminati. Characters in TV shows, films and books can feel so real. We cry for them when times are bad, we laugh when they make jokes – then look over our shoulders to check no one saw us. Or, if you're watching with your partner, you'll grasp their arm, look at one another with slack jaws, and excitedly discuss as the credits roll. 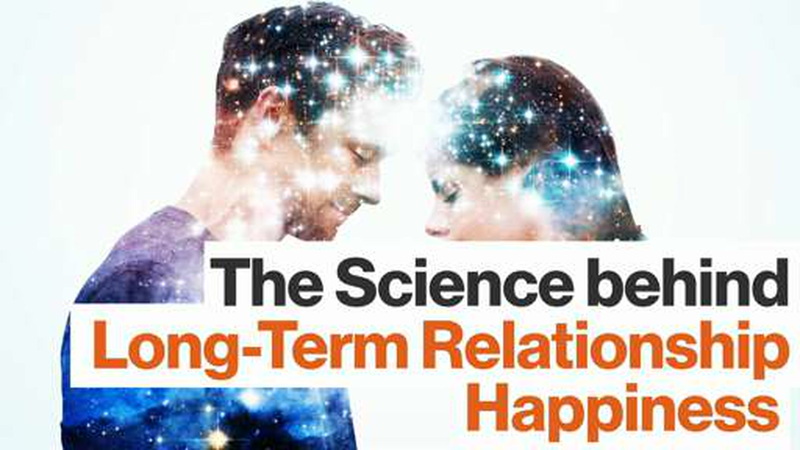 Burning through hours of bandwidth watching Game of Thrones or Narcos might seem like time that could be spent more productively, but when you're watching it beside the one you love, turns out science gives it the all clear. You're creating a "shared social reality", according to a new study from the University of Aberdeen in Scotland (pdf file). The psychology researchers found that there are measurable benefits to consuming media like films and books with your partner, especially if the two of you don't have a mutual group of friends, are in a long-distance relationship, or don't have much family. The researchers studied 259 students who had been in committed relationships for 16.7 months on average, and they controlled for the time couples spent together to make sure it was in fact the media, and not general time spent together, that produced the enhanced feelings of closeness. The couples who either had shared friends, or had fewer common friends but shared media consumption, reported the highest relationship satisfaction for the duration of the study. In a different study, couples that share more friends reported greater satisfaction, commitment, intimacy, and optimism about their relationship's future than couples who share fewer friends, so if two people somehow feel they are lacking common social connections the air in the room might get filled with awkward static. Fortunately, we humans are extremely resourceful. When deprived of our psychological needs, we'll find creative ways to meet them. We look at photos when we miss someone. We get pets for companionship. We read books, which psychologically embeds the reader into whatever community is described in the narrative, satisfying a deep human need for belonging to the point that a 2011 study showed that after reading Harry Potter, participants imbued their identity with wizard traits. In extreme isolation, some of us take up with a soccer ball called Wilson. What this University of Aberdeen study has found is that fictional characters act as social surrogates. "When people lack a shared circle of friends with their partners, sharing media like TV shows, books, and movies with partners may compensate for this deficit and restore closeness," the study reports. Figure 1. 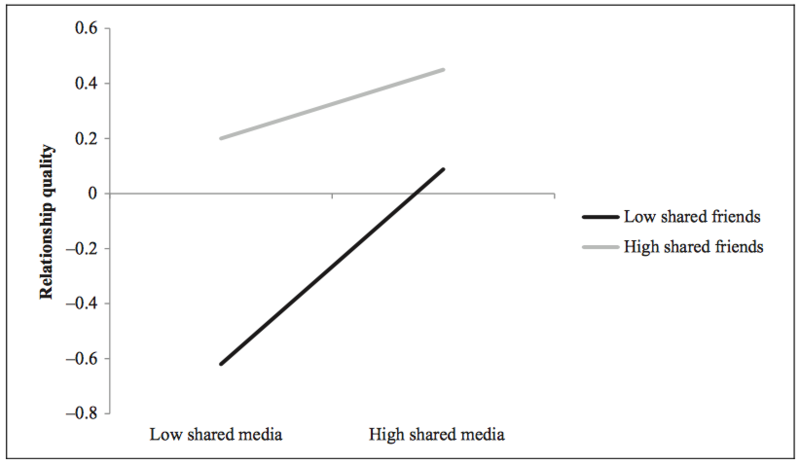 Predicted relationship quality scores for the shared friends by shared media interaction in Study 1. Scores on the Y-axis are predicted values for the composite of standardized measures of partner centrality, own and partner closeness, and own and partner commitment. The authors also reference research conducted in 2013 on the prevention of marital distress and dissolution, which showed that when couples watched and discussed relationship-themed movies it was equally effective as skills-based counseling interventions in preventing relationship dissolution over three years. To unlock a bonus level of relationship closeness with your partner, there's evidence to suggest you should browse the thriller, horror and action genres. That's right, you want to feel the fear – purely so you can misattribute it. A research paper on the effects of adrenaline on arousal and attraction from McKendree University indicates that when someone's emotional arousal (this is arousal outside of the sexual context, think a literal increase of emotional state marked by things like a racing heart and sweaty palms) is increased, their system is flooded with adrenaline, which increases the likelihood and amount of attraction between two people. A creative study by Dutton and Aron involving exchanging phone numbers after crossing a shaky bridge supports it, and it's also why some avant-garde relationship counsellors will suggest couples go sky-diving together as therapy. So you can grow closer to your partner by sharing the experience of characters in tense dramas, comedies and love stories, but as neuroscientist Joseph Ledoux says, "Things that are bad have more weight than things that are good." Watching a character on Game of Thrones get his eyes gouged until his head pops, for example, should do it. 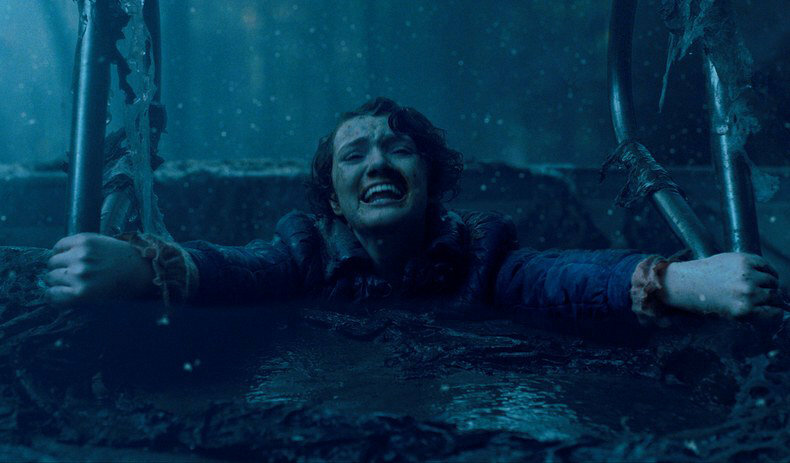 As will watching Barb get shunned by her best friend then dragged to the 'upside down' by a monster in Stranger Things. Oh Barb, romantically fortified couples all over the world thank you.